I know how depressing it can be when you are ready to redeem your miles only to find out you don’t have enough. Well if you are short on United miles and don’t have Chase Ultimate Rewards to send over, here are some ways to redeem them. Over $300 cash price on Eva for the same flight! If you are in Japan, you can fly non-stop within Japan for only 5,000 miles one-way! Japan is a string of islands as you may know, one of the southernmost islands is Ishigaki, Okinawa. 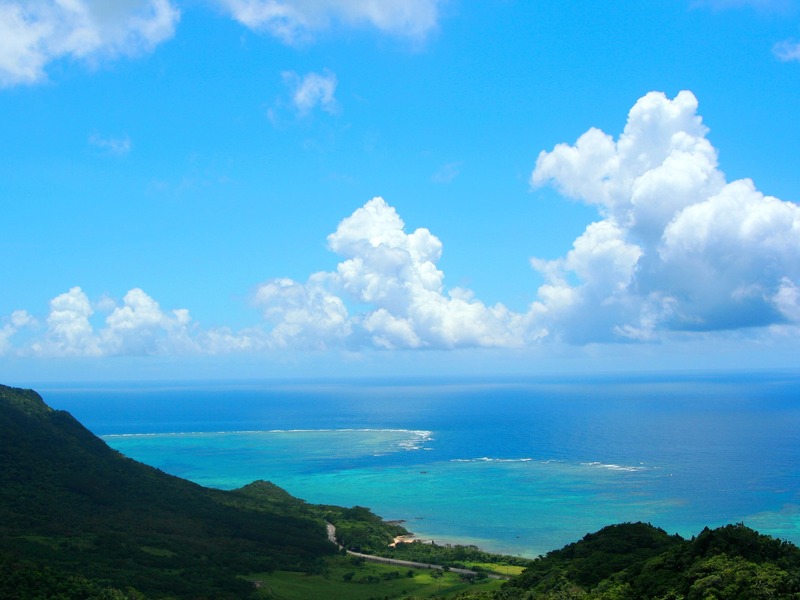 Ishigaki is a divers’ paradise! At 1,210 flight miles, you’ll still need just 8,000 United miles non-stop from Tokyo. Cash fares run $140~ so you are getting over 1.5 cents per point. If you find yourself wanting to hop around Europe I’d generally recommend cash fares. Europe is flooded with low-cost carriers like RyanAir, EasyJet, and Vueling. While many point-to-point routes are covered, there are many that are not. Zagreb, Croatia, the nation’s capital, is not the easiest or cheapest to fly to. Vueling and Norwegian are the main low-cost carriers serving only Barcelona, Copenhagen, and Stockholm. With your United miles you can fly one-way to/from Star Alliance hubs, under 800 flight miles, such as Vienna, Austria. Croatia and Austrian Airlines serve the Vienna to Zagreb route, both ringing in at 8,000 United miles plus fees. Cash one-way tickets will often run you $200! That is a great redemption of 8,000 United miles. Here is a map of non-stop destinations from Split or Zagreb served by Croatia Airlines. All eligible for 8,000 United miles one-way plus fees. Within the US you can fly one-way for 10,000 United miles if your start and end points are under 700 flight miles. That means Phoenix to Albuquerque with a layover in Denver will only require 10,000 UA miles even though you will fly a total of 950 flight miles. The distance between Phoenix and Albuquerque are under 700 miles, so that is what counts. If you are in Hawaii, you can book island hopper flights using your United miles. Any non-stop between the island that is operated by Hawaiian Airlines will qualify at 7,000 miles one-way! This can be a great option if you want to see two or three islands on your Hawaiian vacation. Flights within South America can be really cheap and really expensive with little explanation. Okay there is a slight explanation; some countries impose hefty departure and transit taxes which they package into the cost of a cash ticket. You can fly between Bogotá and Quito on Aerogal for just 8,000 miles one-way plus $75 in fees. That same non-stop flight would cost you $356, yes that is US dollars for a sub two-hour flight. Insane right? Using this method would save you 2,500 United miles per person versus booking a non-stop from Jamaica to Panama. Cairo is the hub for Star Alliance carrier Egyptair. You can fly non-stop flights under 800 miles for just 8,000 United miles plus fees. A one-way from Cairo to Amman would require only 8,000 miles plus $45 in fees. That same flight hovers around $185 if paying cash!